I couldn't be more excited to open a shop here on my website for some of my original illustrations and art. I've been blogging, publishing my art here since 2010, so I would say it's about time. I still have prints available as well as other items like cups and cell phone cases on my Fine Art America page, but until now was mainly selling and showcasing my originals at galleries. However, not every piece can be in a gallery, especially more niche works like the one pictured here. 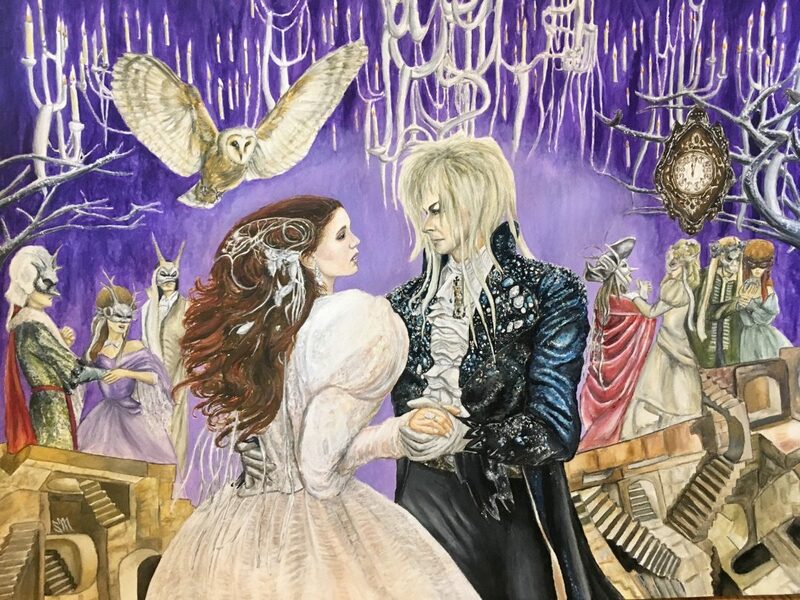 This piece is inspired by the epic ballroom dance scene in the 1986 Jim Henson film "The Labyrinth," featuring Jennifer Connelly and David Bowie as Jareth the Goblin King. It is now in the shop. The Labyrinth piece is available in the shop and I will be adding more products over time, but don't hesitate to ask if there's something you've seen on my blog or Instagram that you'd like to see added. Commissions are open as well. Please email with any questions.